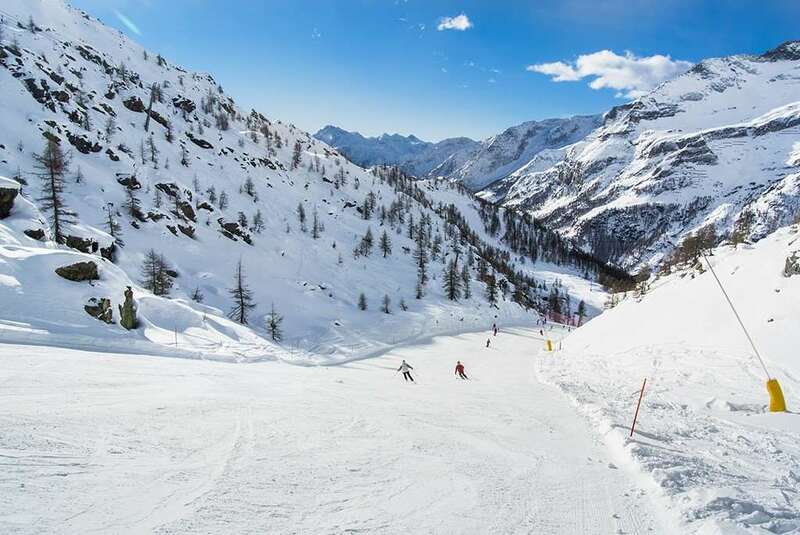 Bordered by both France and Switzerland, Aosta resort is in a spectacular corner of mainland Europe and has a wonderful selection of ski runs to suit all ability levels. Based just two hours away from Geneva, Turin and Milan airports, skiers and snowboarders have plenty of amazing sights to explore at Aosta. The exceptional town centre is also a short distance away, boasting stunning Roman monuments and a wide selection of shops and restaurants. From mid-December to early January, the incredible Marche Vert Noel Christmas market is held, giving visitors the perfect opportunity to choose some gifts for the big day and try out incredible local food. The season is scheduled from December to April and coverage is excellent, ensuring a fantastic surface for skiers throughout the resort. Regardless of whether you’re an expert looking for a new challenge, an intermediate or someone who is trying out the sport for the first time, plenty of fun awaits in Aosta. The beginners’ areas in Courmayeur, Champoluc and Pila are perfect for kids and newcomers, while Gressoney and Cervina provide extraordinarily scenic off-piste routes for visitors. As well as being a fantastic option for newcomers, Courmayeur has some amazing expert runs on the slopes of Mont Blanc. La Thuile boasts the legendary Berthod downhill route and PIla offers a fantastic timed slalom run. Across the Aosta valley, there is a marvellous array of attractions to enjoy. If you’re looking for somewhere quiet to relax, Bar Yeti is a fantastic option, providing magnificent views of the evening sun. On top of this, the Brasserie du Grimond is an incredible eatery offering a selection of amazing pizza dishes. When you’ve enjoyed a nice meal or drink, you can then look at some of the awesome activities available, including snowshoeing, dog sledding and ice skating.